An ode to a chocolate bar I hear you say? Yes, it is that good. Am I actually going to write an ode? No, I am not that talented. What I am going to do though is tell you just how AMAZING this chocolate bar really is. 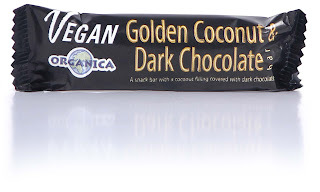 First discovered when I arrived in Cork, I found this most delicious of bars lurking inside a health food store, hidden beside something made with carob (dry retch) and something else that looked suspiciously too healthy for my taste. 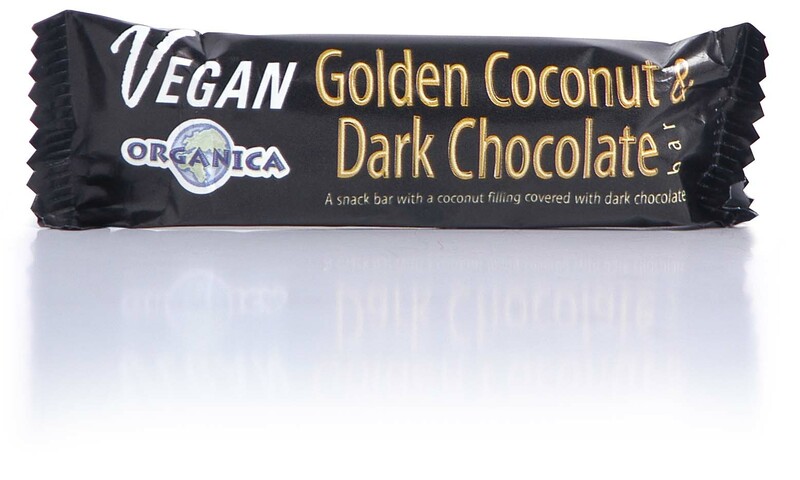 I nearly walked right past it and would never have known the magic that is the Organica Golden Coconut and Dark Chocolate Bar. Vegan chocolate bars tend to be limited to super rich dark chocolate, with the occasional hint of orange or mint, if your lucky. Organica however have taken things a massive step further and added coconut, my most favoured of all chocolate fillings - that's right, they have made the vegan bounty bar, and it's better than the original. Sweet, delicious coconut wrapped in luscious dark chocolate (that doesn't make you reach for a glass of water with every bite) this is one delectable treat. In Ireland it can be found in most health food stores or you can buy it online from a number of UK sites. Venture Foods, who make and distribute the bar, also have a website with more such tasty treats, like vegan white chocolate, oh my!